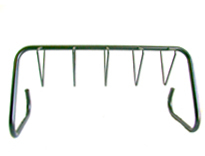 The product the lock-up-1 wall mount bike rack and BikeRack Mfg. & Dist. Company was started and developed by bike mechanic's in order to develop a bike rack that can totally lock-up a bike by using one lock. After developing and securing the patent ,BikeRack Mfg. & Dist. 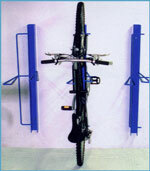 Company began developing an assortment of bike racks in order to accommodate different locations and situations. BikeRack Mfg. & Dist. Company is located in Toronto Ontario, Canada and is presently distributing bike racks throughout North America.